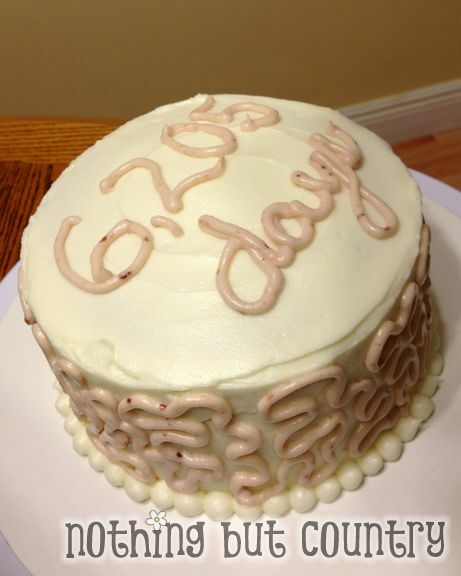 You Are Here: Home » Desserts, Holidays & Occasions, Recipes » 6,205 Days of Bliss!! Happy Anniversary on a budget! YUP!! 17 years of Marital Bliss!! I have enjoyed all 6,205 days married to my best friend!!! 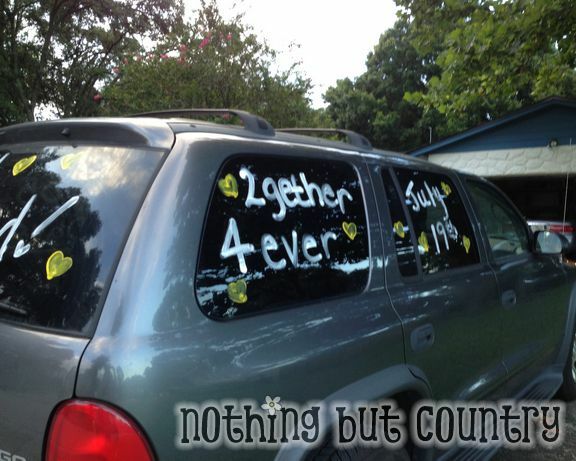 Hit the dollar tree and found window paint pins in yellow and White and decorated our car when hubby didn’t know. I woke up super early and went over to my Mothers house to pick up the anniversary gift I had hidden and decorate our car. (Early as in 630am) I knew he wouldn’t even know I left the house And I was right— he didn’t. I purchased 17 balloons and 17 candies. 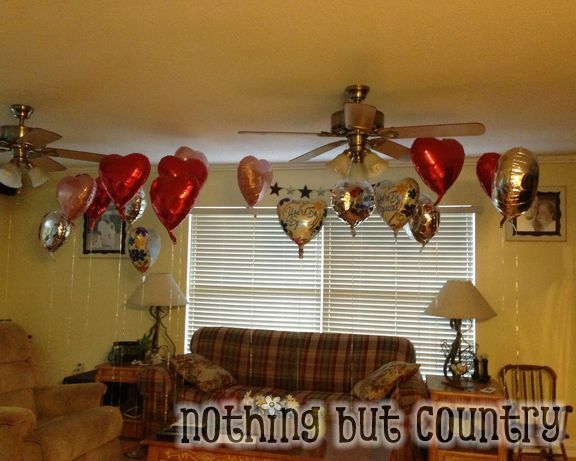 Each balloon to represent on year we were married. 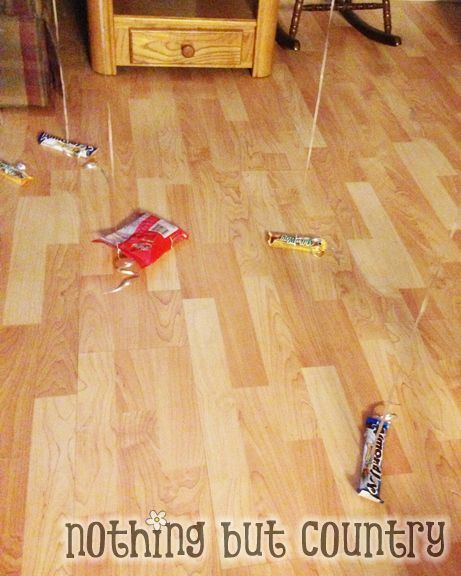 Tied on all his favorite chocolates at the end of the balloons and arranged them around the living room. I then slipped back to bed and waited for the unsuspected hubby to get up and realize the living room had been bombarded with balloons. The look on his face when he saw it he peered back into the bed room saying WHAT IN THE WORLD?? Best face/expression ever!! Of course my kids were equally excited to see balloons in the living room. Each year I purchase a cake from Publix. Because that is where we originally purchased our wedding cake. However I just couldn’t see spending so much on a cake that I knew I could recreate pretty closely. Cream Cheese frosting, vanilla cake with raspberry center. 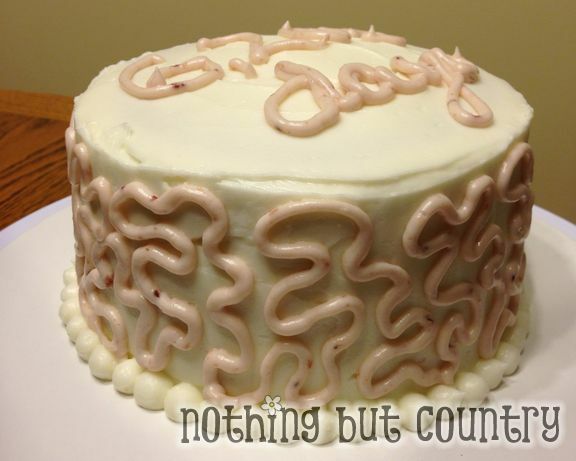 The pink colors simply is cream cheese frosting with raspberry blended into it. I love how it turned out. 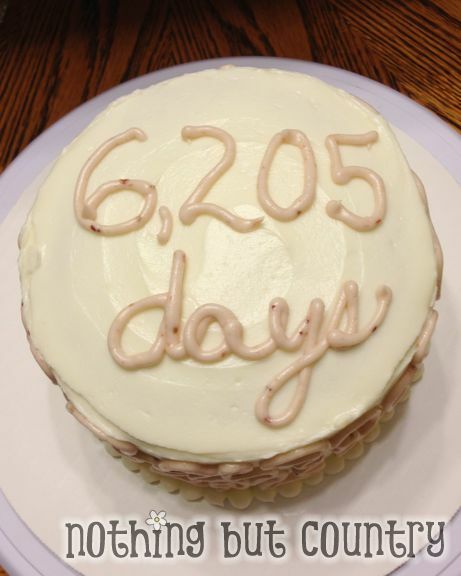 And instead of the traditional 17 years on it- 6,205 days sounds cooler! Hubby enjoyed the bigger number! Last but not least- a silly photo of us. My husband wears this superman shirt all the time. In fact he owns TWO of the exact same shirts. My son has one. 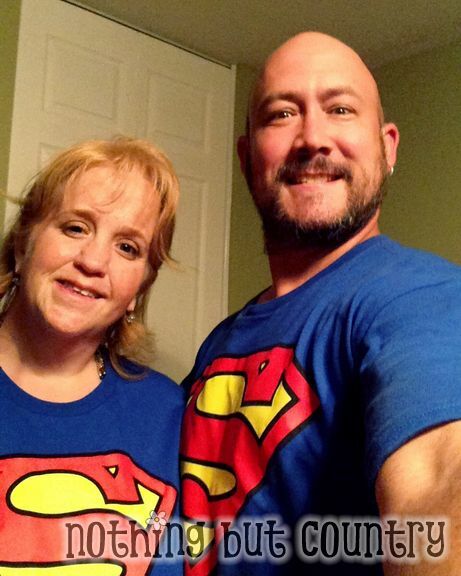 One of my anniversary gifts was my very own Superman shirt to match. Silly?? maybe but…. this is the 1st time I have been able to purchase a shirt in a smaller size. Having lost 125 lbs it was much to celebrate this year!! We have since purchased one for my daughter and we will all 4 have matching shirts.. Tacky and I love it!! Happy Anniversary to my true love!!!! 3 Responses to 6,205 Days of Bliss!! Happy Anniversary on a budget! 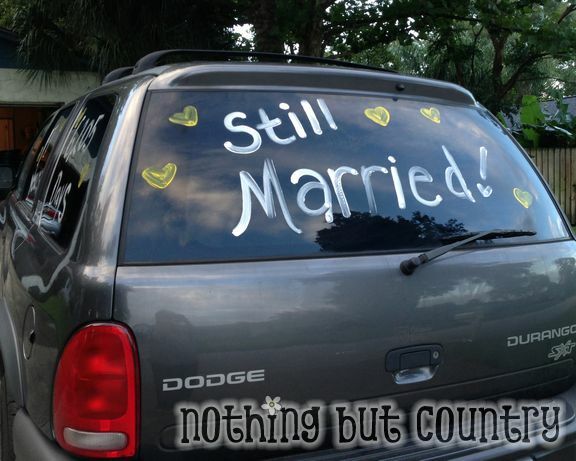 Congratulations on your anniversary…..but mostly on losing 125 lbs!!! What an awesome thing to celebrate!! I am so happy for you! You have inspired me. 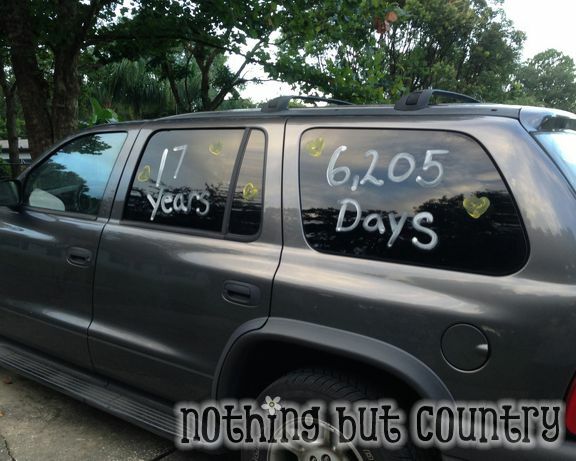 I’m going to put the number of days on the truck the morning of our annaversery. His co-workers will get a kick out of that. Happy Anniversary! And congrats on the weight loss!